Time for the swatches of what I got from the latest collections! 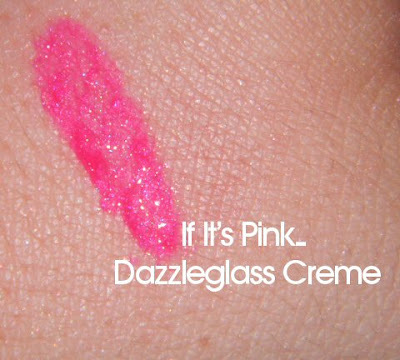 This is very pigmented! It has light pink and purple sparkles to reflect the light. It's definitely a bold pink lip color. 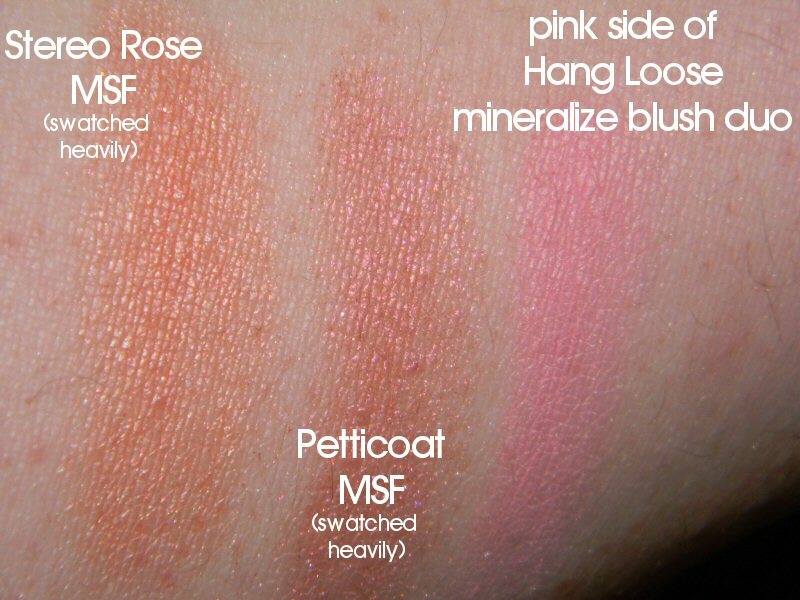 Stereo Rose has the title of being MAC's only coral MSF. Because I have pale skin, I use it very lightly. I flicked my brush a few times and applied it with my SS187 and that did the trick. It added a nice bit of color and I managed to not look like a clown. Petticoat is a nice raspberry pink. Again, to apply it lightly, I 'd use a brush similar to a 187. It definitely produces a metallic sheen! Hang Loose Mineralized Blush Duo. 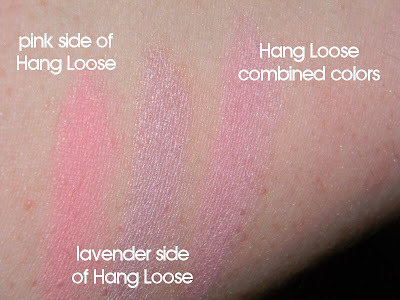 Either shade can be used on their own, but it really comes alive when it is mixed. 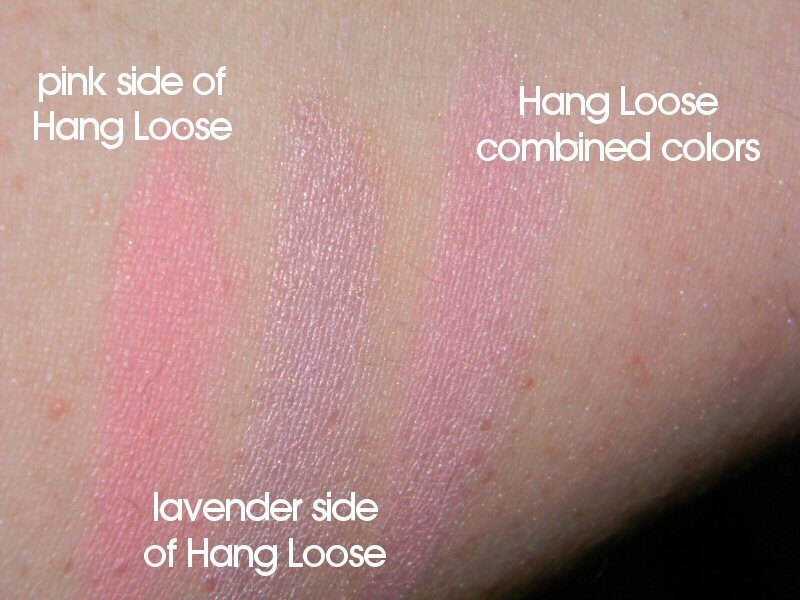 It may look like a normal pink blush, but the lavender highlights really make it stick out. 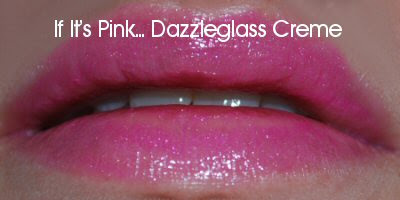 It gives a bit of a dewy look when on the cheeks. I am so happy that I purchased this. Quite frankly, I love it more than the two MSFs that I got! I may not be around to blog on Monday because...it will be my birthday! Just letting you know if you don't hear from me. :) Hope you all have a great weekend! Happy Birthday and thanks for the swatches. I absolutely agree on Hang Loose. It's such a beautiful color when mixed together. Happy Birthday, Wendy! You got great stuff! 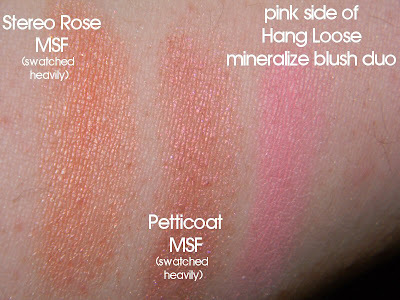 Honestly, after seeing so many Stereo Rose swatches, I don't feel so bad about not being able to get it anymore. It kinda looks... dupable!